The chill is on and its time to get that proper beanie and this one from MONCLER is for the win. The French outerwear brand has successfully merged style with functionality, harnessing the knowledge of mountaineering experts through fundamental technical research. 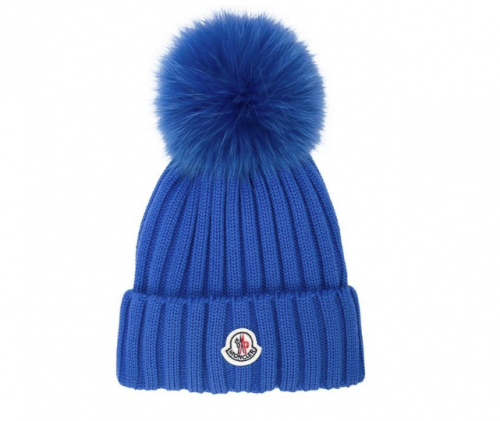 This electric blue virgin wool and fox fur pompom embellished logo beanie from Moncler features a knitted style. It also comes in a couple more colors our you can get them all HERE.